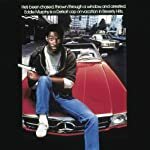 It's been 22 years since Eddie Murphy cleaned up the streets as Axel Foley in Beverly Hills Cop III (1994), but fans of the foul-mouth Detroit police detective finally get their next sequel in 2018. Beverly Hills Cop 4 (????) will be directed by up-and-coming Belgian writer-director duo Adil El Arbi and Bilall Fallah, winners of the Toronto Film Festival in 2015 for their all-black gangsta drama Black (2015). However, this will be their first action-comedy. The producer is Jerry Bruckheimer. Which of the following Eddie Murphy quotes (*) do you think is the funniest? Eddie Murphy (Reggie): Jack... Tell me a story. Nick Nolte (Jack): F##k you! 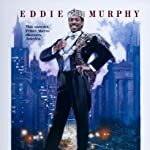 Eddie Murphy (Reggie): Oh, that's one of my favorites. 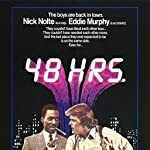 Eddie Murphy (Billy Ray): [after demonstrating some fake karate moves] That's called the "quart of blood" technique. You do that, a quart of blood will drop out of a man's body. 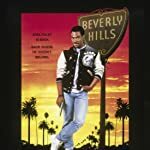 Eddie Murphy (Axel Foley): I never been in no cell that had a phone in it. Can I stay for a while, 'cause I ordered some pizza. 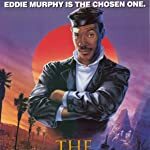 Eddie Murphy (Chandler Jarrell): So, I gotta go to Tibet, because I'm the Chosen One. Why can't anybody choose me to go to the Bahamas? Eddie Murphy (Axel Foley): Yo, man! What's that for? Judge Reinhold (Billy Rosewood): After the shootout at the club, I figured I needed more firepower. Eddie Murphy (Axel Foley): Yo man, we gotta talk, seriously. Who do you think you are, Clint Eastwood? Dirty Rosewood? Eddie Murphy (Saul): Wait a minute. Wait a minute. Wait, stop right there. Listen. Stop right there a minute. A man goes into a restaurant. You listenin'? A man goes into a restaurant. He sits down, he's havin' a bowl of soup. He says to the waiter; "Waiter, come taste the soup." Waiter says; "Is there something wrong with the soup?" He says; "Taste the soup." He says; "Is there something wrong with the soup? Is the soup too hot?" He says; "Will you taste the soup? ", "What's wrong is the soup to cold? ", "Will you just taste the soup? ", "All right, I'll taste the soup. Where's the spoon? ", "Ah-ha!" Jon Tenney (Levine): They got F##kin' machine guns! I thought you said they had no guns! Eddie Murphy (Axel Foley): They must've changed their world view! Kadeem Hardison (Julius Jones): Hey, man, my pops always said the quickest way to a woman's heart - the church. Eddie Murphy (Maximillian): It's actually through the ribcage, but that's a bit messy. 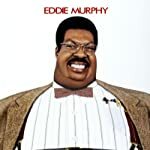 Eddie Murphy (Buddy Love): [to Reggie] Ok, fat jokes! You wanna do fat jokes? Eddie Murphy (Buddy Love): Your mother is so fat, she fell in the Grand Canyon and got stuck! Albert Brooks (Tiger): [John is about to operate on Jake, the tiger] Have you ever done this operation before? 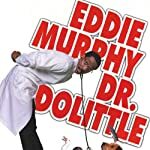 Eddie Murphy (Dr. John Dolittle): Yeah, once in medical school. But it was to a cadaver. But my professor told me I did such a good job that, had my patient not been dead, he would've lived. Albert Brooks (Tiger): [sarcastically] Very comforting, Doc. 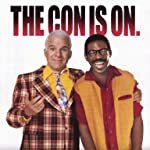 Steve Martin (Bowfinger): Do you have any experience in motion pictures? Eddie Murphy (Jiff Ramsey): Uh, well, yeah, quite a bit, actually, I have quite a bit of experience. 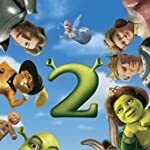 I'm an active, uh, renter at Blockbuster, and I, um, attend the filmed cinema, uh, as much as possible, weekly, bi-weekly, inter-week-... intermediately. 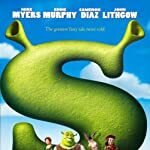 Eddie Murphy (Donkey): I just know, before this is over, I'm gonna need a whole lot of serious therapy. Look at my eye twitchin'. Eddie Murphy (Donkey): [to Puss] If we ever need an expert on licking ourselves, we'll give you a call. Anika Noni Rose (Lorrell Robinson): What Does R&B stand for? 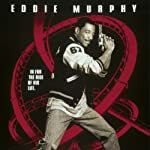 Eddie Murphy (James 'Thunder' Early): Rough and Black.